Restoring a Mustang? Considering buying, but don’t know how “original” the car really is? Just want to know everything that can be known about your Mustang? Marti Auto Works has the complete production database for all Ford, Lincoln and Mercury cars and trucks built from 1967-1973. Marti Auto Works has three different levels of the Mart Report available, each with increasing amounts of data and details. The Basic Report includes both the scheduled and actual production dates for your Mustang, the original dealer number for the car including the DSO all in user friendly terms so those cryptic can be understood. 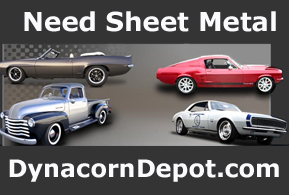 The Deluxe repot includes everything in the basic report and features additional including when the order was received, when the Mustang shipped to the dealer, the original Vehicle Order Image code, detailed options information and statistical information. The Elite report includes everything in the Deluxe report along with personalized statistics about your Mustang compared to other Mustangs. 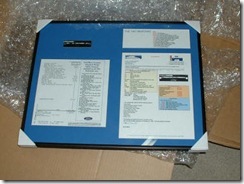 Additionally, it contains a reproduction of the door data plate and window sticker. The entire report is them framed and delivered to you for display.